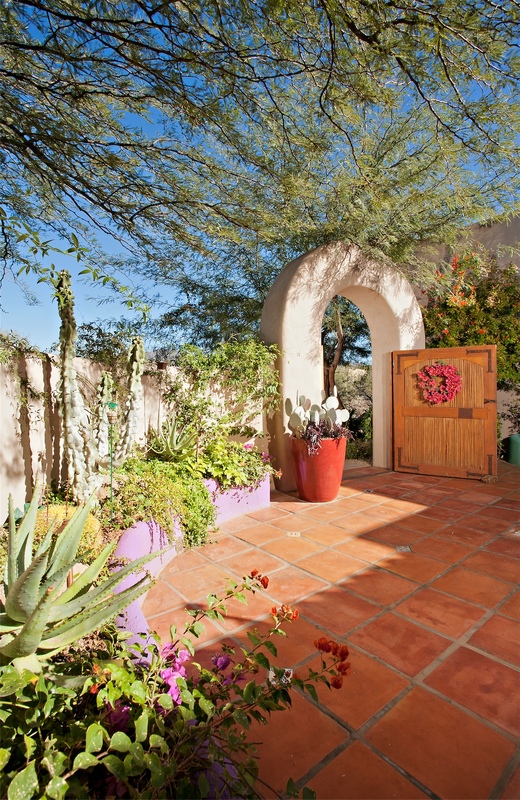 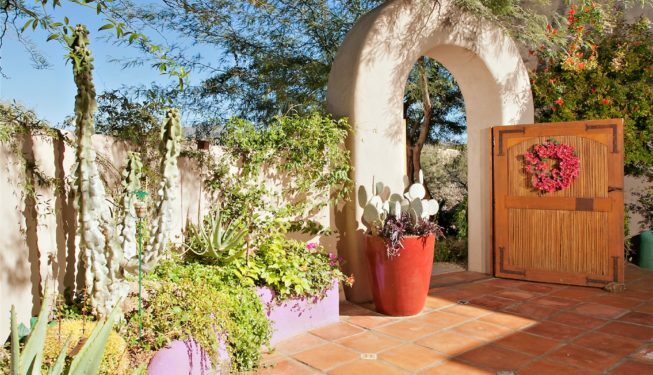 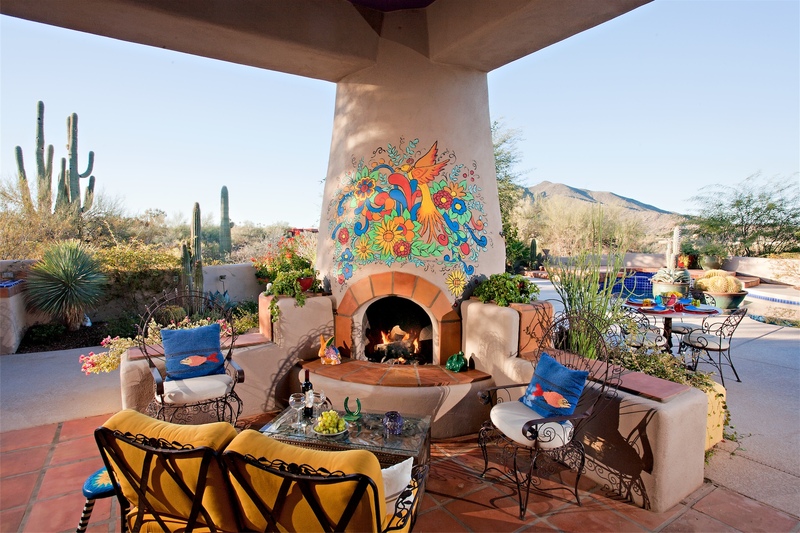 A low wall outside Lynn and Dennis Mullen’s covered patio already had two wide steps set against it when they bought their Scottsdale residence. 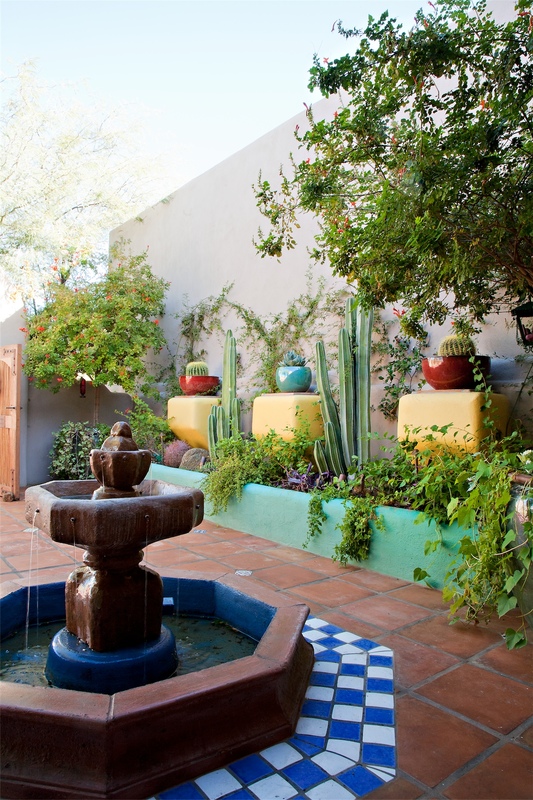 A trip south of the border gave the couple an idea for making those steps infinitely more usable. 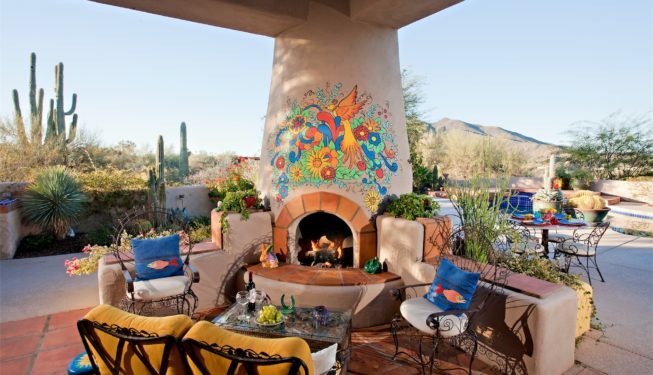 During a vacation in Mexico, the two had enjoyed the warmth and ambience of an in-ground fire pit and decided they would like to transport that experience home. 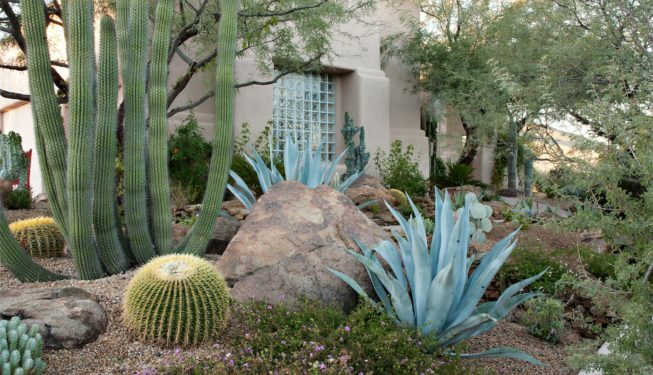 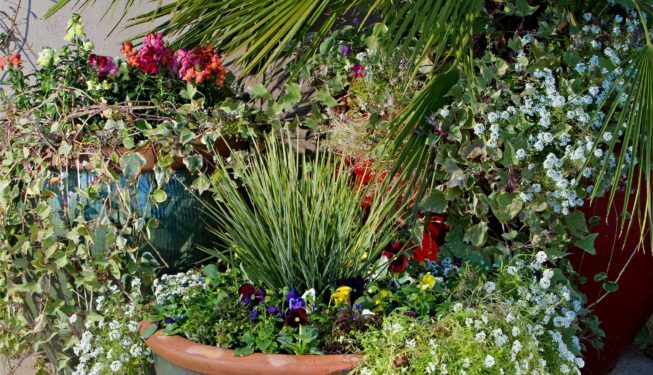 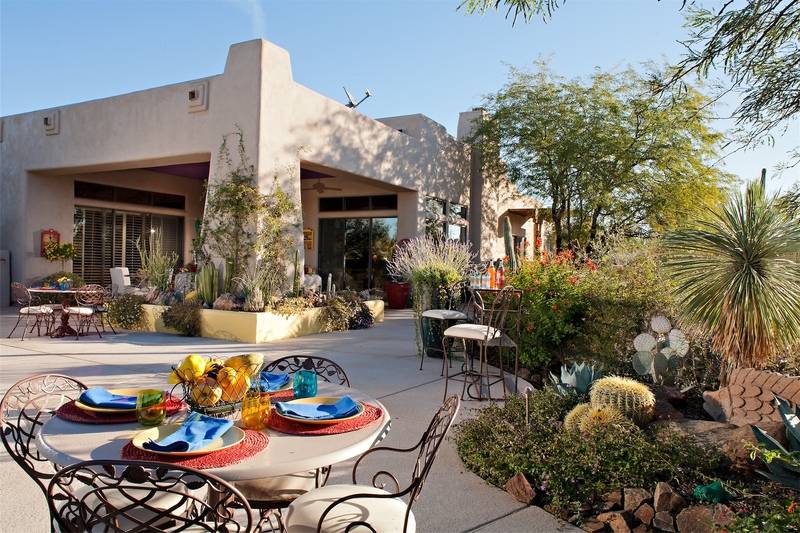 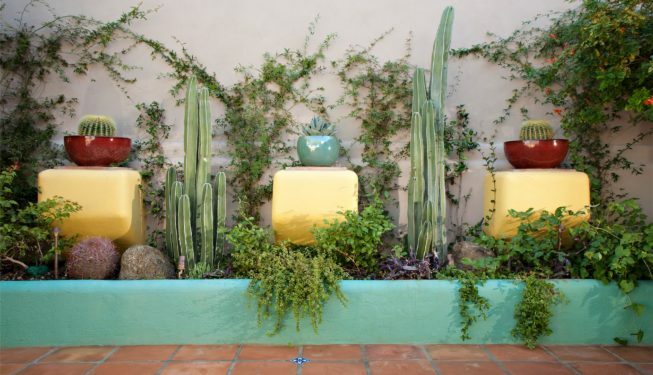 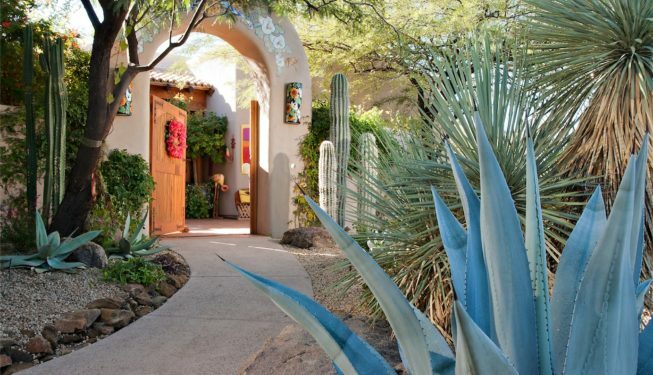 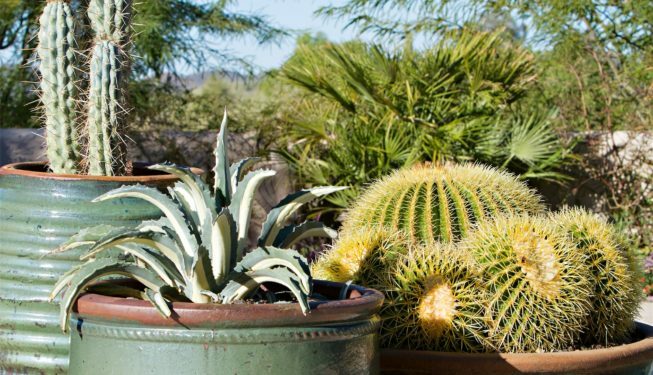 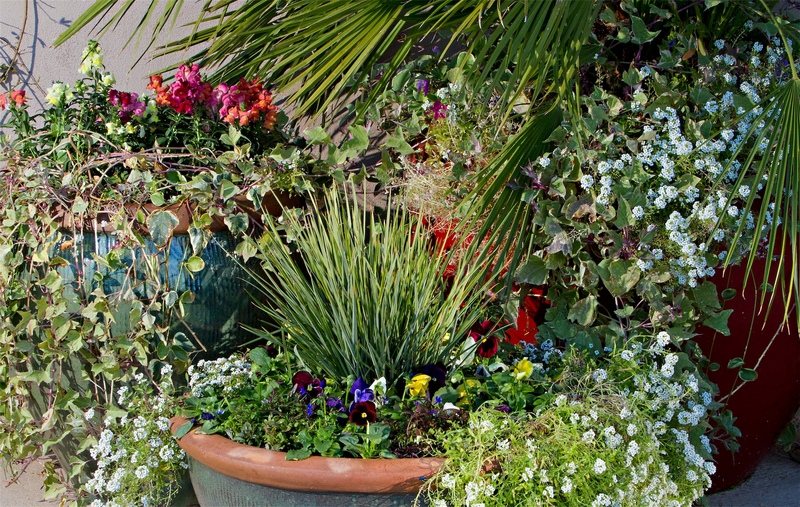 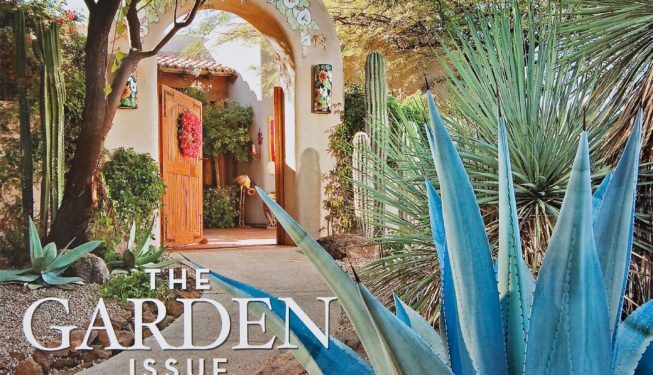 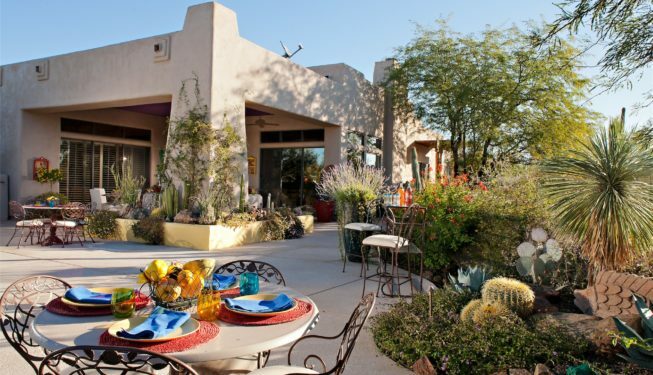 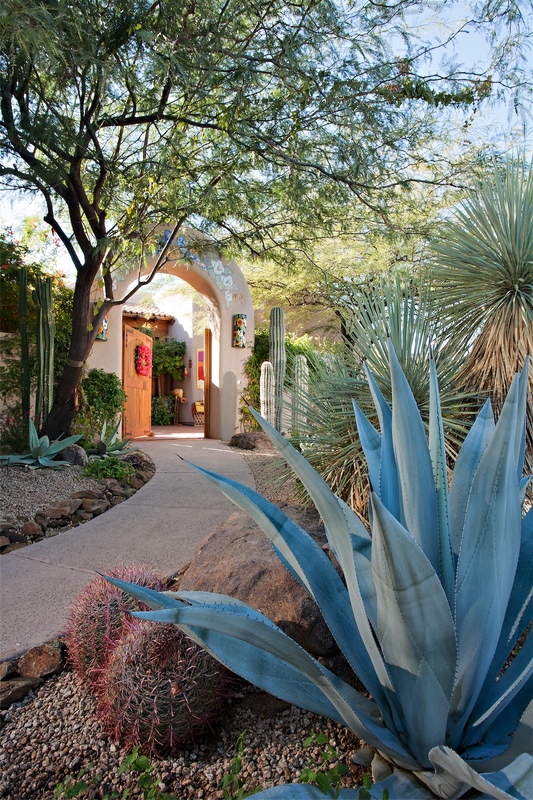 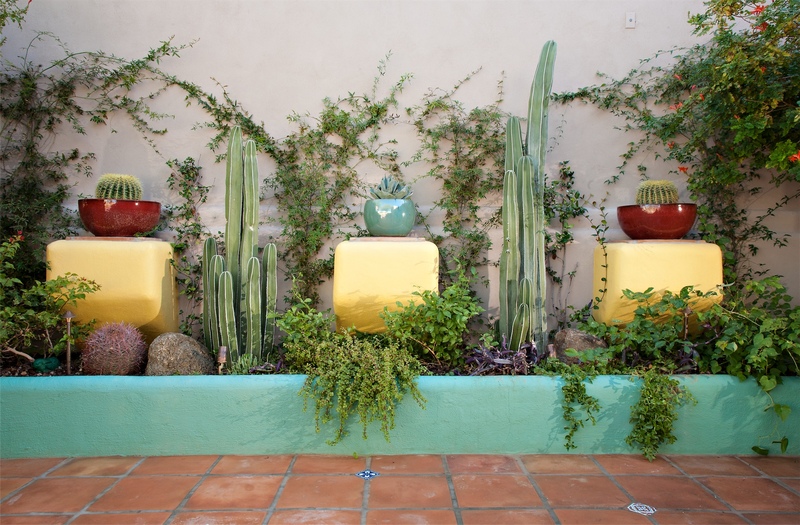 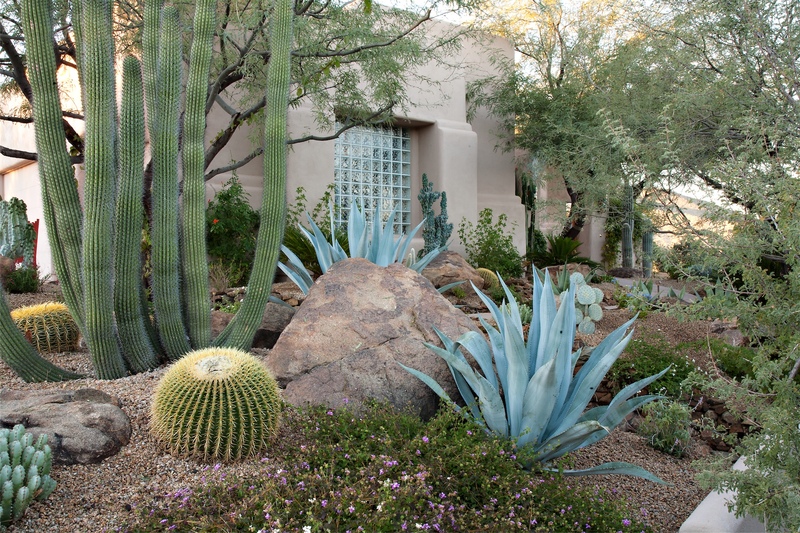 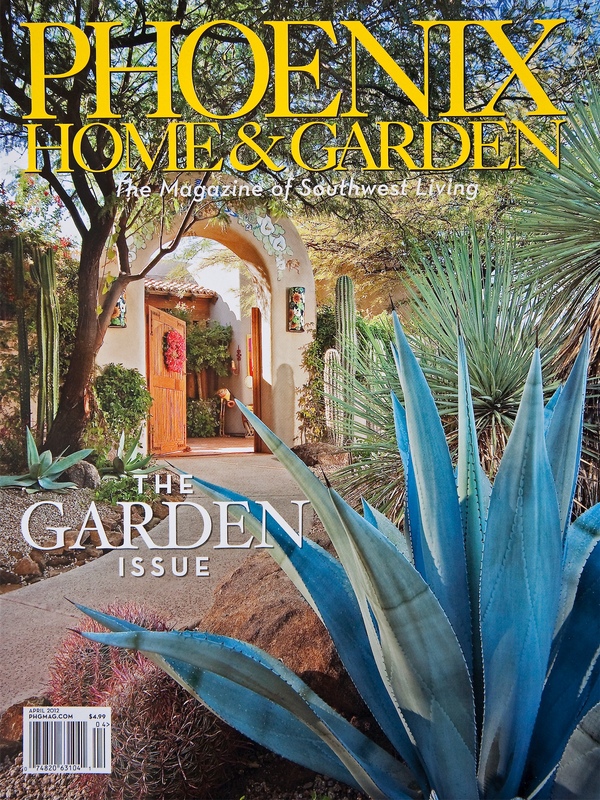 Landscape designer Marc Vargas of Desert Foothills Landscape took their idea and ran with it. 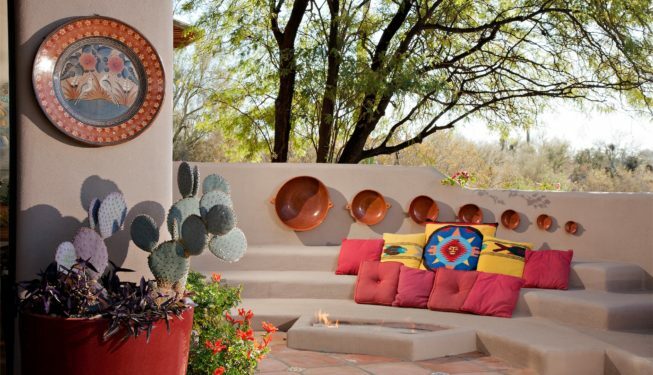 He added another step to the wall as a sort of footrest and extended a sand-based gas fire pit from it. 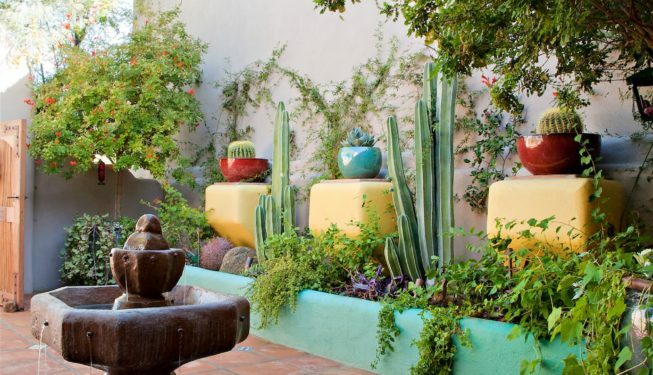 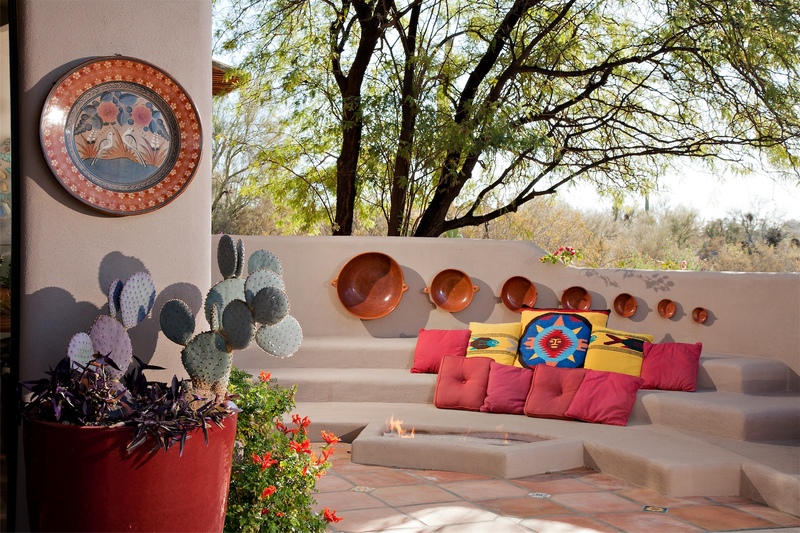 Lynn, an interior designer, added Mexican flavor with brightly colored cushions and a series of cazuelas—Mexican cookware—that are attached to the back wall. 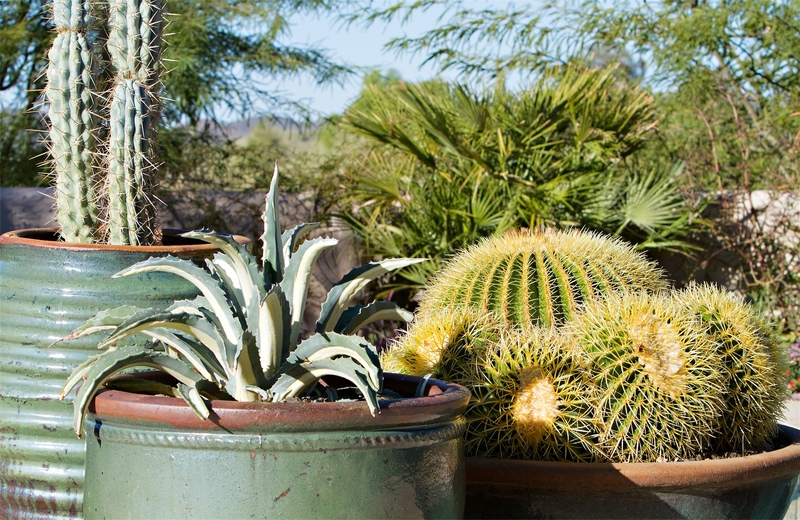 Dennis says he just drilled holes in their centers and hung them there with screws.